#1 Talon Cogburn 5"10 Jr.
#2 Braxton Sullivan 6"2 Sr.
#3 Jose Ramirez 5"9 Soph. 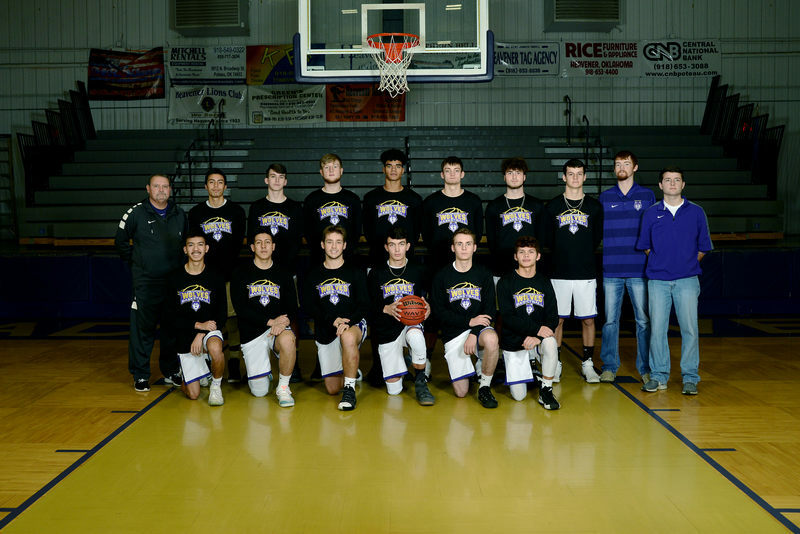 #4 Noe Alvarado 5"10 Jr.
#5 Amador Martinez 5"11 Sr.
#10 Colt Callahan 5"8 Sr.
#11 Kaleb Brown 5"8 Jr.
#12 Trace McDaniel 6"2 Jr.
#15 Macedonio Jacinto 5"7 Soph. #20 Brock Stacy 6"2 Sr.
#22 Graceon Huggins 6"2 Jr.
#23 Cael Lawson 6"5 Jr.
#33 Brandon Crase 6"5 Jr.